Blog | What causes Garage Door Accidents? 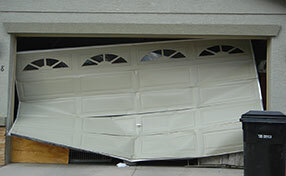 What causes Garage Door Accidents? Garage Doors are an essential part of every home, and are some of those rare products which don’t go through the replacement cycle all that frequently. You buy a garage door once, and forget it for years, till the time comes that it malfunctions and you have to replace it. This is primarily because garage doors are pretty sturdy, and also due to the fact that upgrading a garage door isn’t as exciting as say, upgrading your Smartphone. However, this lapse in upgrading also means an increased risk of malfunctions, which is why garage door Accidents are on the rise. To give you an idea of how frequently garage doors can malfunction, here is an interesting statistic: A 2007 NEISS Hospital Study found that over 13000 people got injured every year due to injuries rising from such malfunctions. And that was in 2007, who knows how much the number has increased since then. Unsuspecting Kids are the most affected by garage door malfunctions. Due to them venturing around the moving parts of the garage door, they often get stuck or are injured. The most common Garage Door injuries are the door collapsing on the user, and also the user’s body parts being stuck in its moving parts. Due to their limbs being stuck, or due to the door dropping on them, thousands of people are injured and may have fractures, concussions, etc. The core cause for such situations is a manufacturing defect. Due to a fundamental flaw in the structure of the door, such situations may occur more frequently. Some Garage Doors have sensors helping them to detect when someone is nearby, and stop the parts from moving, so that there are less chances of an accident. But studies have found that over 40% of these sensors are malfunctioning, and so do not protect the user from such accidents. In addition to this, studies have found that while such sensors are able to detect objects like a block of wood, the majority of these sensors have difficulty in finding more detailed objects, such as humans, thus increasing the chance of accidents. Other accidents are due to a flaw in the installation of the Door. It may have not been properly installed, and may not have been properly reviewed after installation to ensure that it is working properly and that it is perfectly safe. 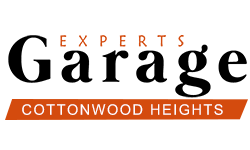 As you can see, garage doors can be extremely dangerous, and certain precautions should be taken and some tips should be kept in mind while buying and installing and also during the usage of the door. 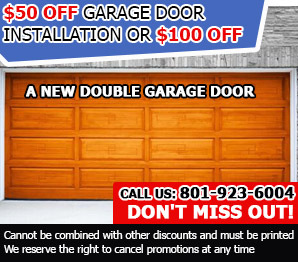 You must buy a garage door from a reputed manufacturer with a proven track record. You should only buy a model with good safety features, and should ask an experienced person to install it. You must also ensure that everything is safe and working properly after the installation. In addition to the above tips, you have to take some basic precautions during the usage of these Doors.